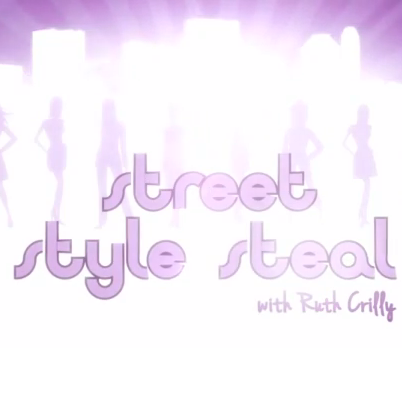 I wanted to embed the first Street Style Steal episode on here for you to see, just in case you’re Youtube-adverse! Nothing wrong with that, by the way – I often get a headache just looking at the Youtube homepage with its hundreds of videos of dogs in sunglasses and men jumping off high cliffs. But everything has its place and use and I do hope that you enjoy these Daily Mix TV videos – they are really nicely produced and there’s a bit of a story running through each one. I particularly love the first episode with Victoria, she was so taken aback by the change to her appearance, it was very moving and we all had to stare at the ceiling for a good while to stop the tears from rolling down our faces! If you like the videos and want to see more, just click through to Youtube and you’ll see a subscribe button for Daily Mix TV at the top left hand corner of the video. Or click here. There’s a different feature every day of the week from me, Pixiwoo, Tanya Burr, Jim Chapman and Wayne Goss so a little something for everyone, we hope!